Seymour Whyte has been awarded Stage 2 and Stage 3 of the M4 Smart Motorway, with preliminary works already underway and major construction planned to commence in July. The project will see construction of the state’s first smart motorway, introducing intelligent technology to Sydney’s roads that will help manage traffic congestion and prevent crashes. Both stages of the project will involve realignment, extension and widening of ramps with ramp meters and ramp control signs at Burnett Street, Coleman Street and Cumberland Highway for Stage 2 and Mamre Road for Stage 3; plus installation of maintenance bays, vehicle detection loops and upgrades to existing power and communications infrastructure. 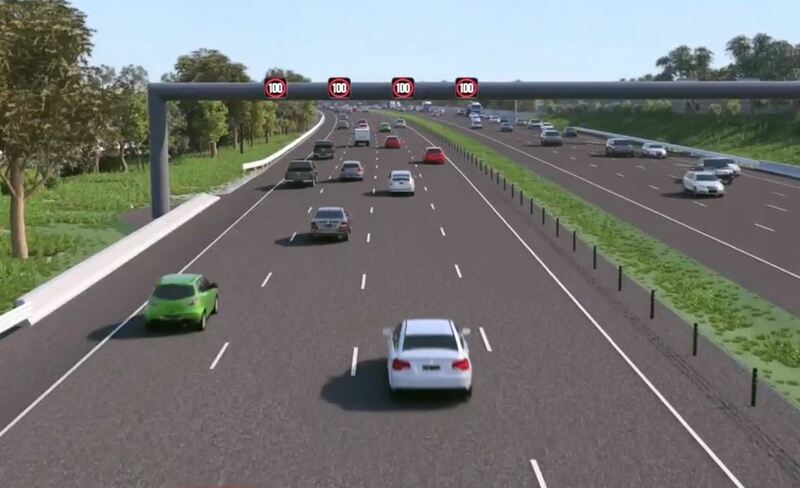 Variable message signs, traffic sensors, CCTV, and speed and lane use signage will also be installed as part of the project between Parramatta and Penrith. Stage 2 and Stage 3 form part of the overall 36km stretch of the M4 Smart Motorway, which has been divided into several packages and is expected to cost a total of $470 million. The project is funded by the NSW government. How is Dashpivot being used by Seymour Whyte? Site diaries can be a massive headache for both site workers and management, especially when managing a large and dispersed workforce. Dashpivot has been able to eliminate much if this headache by acting as the single source of site diary truth. Foremen on the M4 smart motorway use Dashpivot as their dedicated site diary app for completing their site diary and capturing most of the important activities from that day. The native Dashpivot app is easy for the foremen to use on mobile or tablet, with a user interface and fields suited to site work and getting information documented quickly and accurately - with smart features like clone and instant digital signatures saving more time and ensuring better record keeping. Seymour Whyte employees have been able to setup, reconcile and curate their site diary records on the web app when back at the office, as well as print and share specific site diary entries as they would if they were using paper or word docs. At the management and systems level, the standardisation of site diaries across the project has resulted in more standardised data capture, better organisation, and less missing or delayed data. For Seymour Whyte foremen, Dashpivot is easier to use than excel and word - and comes packed with more functionality and smarts. 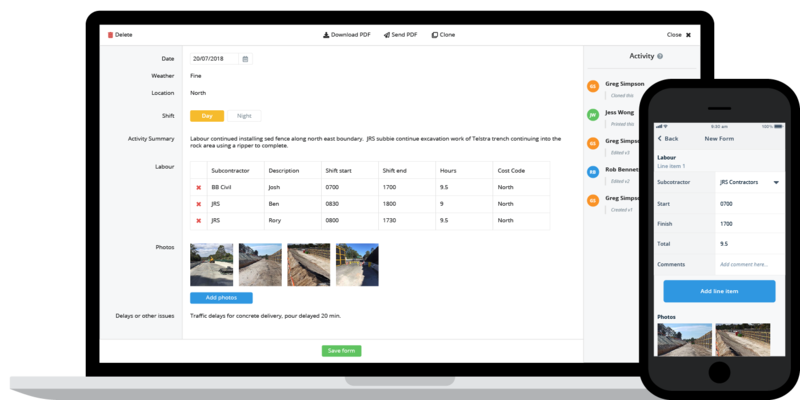 Dashpivot has made it much easier for Seymour Whyte employees to capture everything happening on the M4 Smart Motorway project and track progress in real-time. Thousands and thousands of photos from the project have been captured, tagged and stored in Dashpivot. Once captured, the photos are instantly uploaded to the organisation and team photo libraries, so that other people on a team and project managers can see what's happening at all times, and easily search back for specific evidence from a day or event. In addition to completing site diaries and capturing photos and videos, Seymour Whyte teams have also created other commercial and production templates which solve other jobs and documentation on site. Some of the other forms which have been filled in on Seymour Whyte sites include delay and event tracking forms, pothole records and stormwater drainage condition surveys. Creating these forms at the organisation (Seymour Whyte) level or the project (M4 Smart Motorway) level and deploying them to specific teams ensures that the 'template' or form being used on site is the form which should be used. 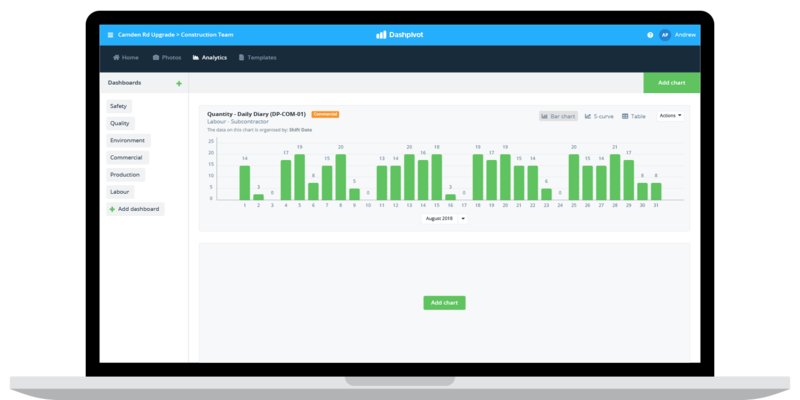 This type of standardisation across forms also makes real-time progress tracking possible - with Dashpivot automatically pulling data into the platform so that people can manipulate and use that data to create charts and dashboards. Seymour Whyte was an early user of Dashpivot (then Construction Cloud). Since then, Sitemate has added an analytics component to the Dashpivot platform. This component enables Seymour Whyte to automatically track and organise the data captured on Dashpivot forms into custom dashboards which display whatever Seymour Whyte wants them to display based on the input fields in the forms. As an example, Seymour Whyte's site diary tracks the hours worked by each employee. 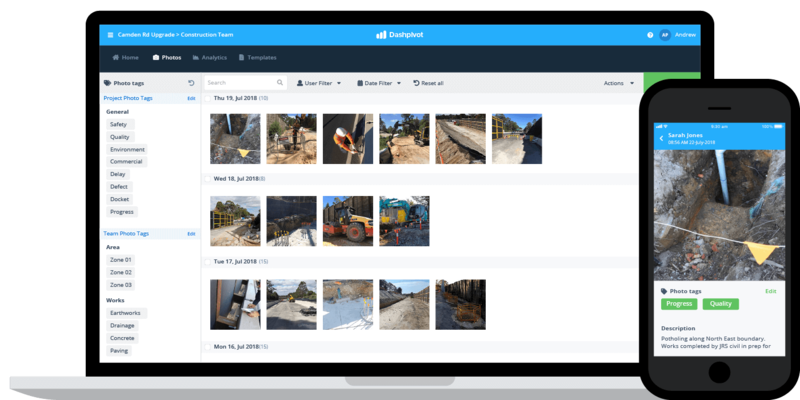 Because the people on site are using their digital site diaries every day, Dashpivot is automatically capturing, aggregating and can pipe this data into analytics charts and graphs. Seymour Whyte employees (project managers etc.) can navigate to the analytics section of Dashpivot, and look at real-time information based on the form field they want to display e.g site diary → hours worked. This chart will display all of the hours filled in on every site diary. They can then dive deeper into the analytics and toggle and manipulate those graphs to show other insights. It's similar to excel, but without manual data entry or complex formulas. Dashpivot does all of the work on the backend so that people can focus on progress and actioning specific insights. What has been the impact of Dashpivot for Seymour Whyte? The focus of Dashpivot for Seymour Whyte has been around improving their site diary process and records, and enabling better general record keeping and project tracking. Dashpivot has been able to save the company and their employees a heap of site diary headaches by making the process of completing site diaries every day smooth and simple. This, along with real-time photos and video captured has improved overall record keeping on the project. In addition, using digital forms instead of paper-based or rigid word and excel docs has enabled the company to 'pull' data out of the forms automatically and instantly display important project information. This has brought more visibility and transparent to projects while also eliminating much of the admin around chasing fragmented records and duplicating those records back into spreadsheets to create 'analytics' and progress reports.